France will hold the G7 presidency in 2019, hosting a summit dedicated to fighting inequality in Biarritz from 24 to 26 August 2018. France has chosen to prioritise education issues in the G7 discussions. Two high-level meetings will take place on 4 and 5 July, ahead of the summit for the Heads of State. These meeting will address the challenges of educating the very young, teacher training, girls' education and vocational education and training in developing countries. The G7 ("Group of 7") brings together France, the United States, the United Kingdom, Germany, Japan, Italy and Canada, and the Heads of State and Government of which meet at an annual summit. In addition to addressing the economic issues it is initially founded on, the G7 has become a forum for consultation where common responses are found for major global challenges including peace and security, counter-terrorism, development, education, health, the environment and climate change. 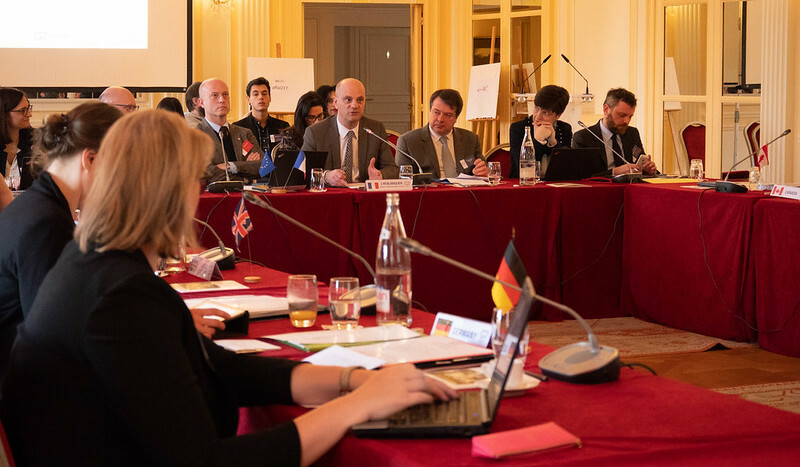 Eight years on from the Deauville G8 Summit, it is France's turn once again to hold the Presidency of the group in 2019, and organise the Leaders' Summit which will be held in Biarritz from 24 to 26 August 2019. France to hold the G7 presidency in 2019. It will be a year focusing on fighting inequality with a renewed format, the highlight of which being the Biarritz summit in August. In 2019, France has the honour of holding the G7 presidency committed to fighting inequality. As a fundamental lever for social development, education will be the main theme of the discussions. In preparation for the summit for Heads of State and Government which will be held in Biarritz on 26 August 2019, the government will meet with all G7 Ministers for Education, on 4 and 5 July, in close collaboration with international organisations, in particular UNESCO and the OECD. Fighting inequality in education starts with the very young. That is why, the challenges of early schooling, an issue faced by all countries, will be at the heart of our discussions. Improving teacher training will be another key focus since it is an essential requirement for improving education standards and condition of social justice. Fighting inequality will be approached from the perspective of openness and cooperation with developing countries. As such, girls' education and vocational training are areas requiring our collective commitment to ensure progress. "Openness" will be the guiding principal of these high-level meetings; we seek to demonstrate openness to invited countries, strengthen links with developing countries and mobilise civil society and education authorities. This openness will also enable us to develop the necessary collective intelligence to identify ways to make progress in the crucial projects aimed at benefiting our societies. Through the transfer of knowledge and shared values we can build a fairer world in which individuals can have control of their own future. I would thus like to wish all G7 2019 participants a fruitful collaboration, to quote Montaigne, "we should travel to rub and polish our brains against other people's brains". France has decided to make education issues a focus of the discussions of the French G7 presidency in 2019, prioritising the fight against inequality. Education is the foundation of our societies and one of our greatest resources. The last G7 Education Ministers' meeting took place in May 2016 in Japan. It led to the adoption of the Kurashiki Declaration and recognised the crucial role of education in a rapidly-changing world. In 2018, the G7 presided by Canada brought about the Charlevoix Declaration on Quality Education for Girls, Adolescent Girls and Women in Developing Countries. The Mendoza Declaration, adopted at the G20 in Argentina in 2018, tackled issues regarding skills, education, employability and early childhood. The 2019 edition of the G7 reinforces the importance of education in our societies, by holding two high-level meetings and an international conference ahead of the summit for the Heads of State. the quality of teacher training, which is an essential requirement for improving standards in education and fighting inequality. In this regard, the challenge is to provide quality initial and ongoing training which responds to the new challenges facing our society: training well-informed citizens, training students in new technologies, providing for pupils with specific needs, etc. An "international conference on the empowerment of women and girls in developing countries through education" will take place on the afternoon of 5 July at UNESCO. In order to prepare for the beginning of July and to establish innovative approaches, thematic working groups, bringing together countries and international partner organisations on a permanent basis, are meeting throughout the presidency. On a national level, education authorities are closely involved with the actions of the government department. Under the authority of rectors, academic delegates for European and International Relations and Cooperation are involved in relaying information and supporting the institutional initiatives in conjunction with the G7. This involves initiating dynamic exchanges between pupils on the themes of the "Education" ministerial meeting. Specific proposals likely to have a direct impact on the lives of French people will make completing the work possible. As well as the adoption of common principals, measures to reinforce the sharing of teaching resources and best practice may also be envisaged. Lastly, the French presidency of the G7 on the theme of education is determined to monitor its actions in the long term and to prepare a harmonious hand over with the United States, who will hold the G7 presidency in 2020.